There’s nothing better than hitting the road on a camping trip and sleeping out under the stars. But whether you stay in a tent or you have an RV, there’s no need to rough it. An easy way to stay comfortable and relaxed on your camping trip is to make sure you pack a few beanbag chairs along with your camping stove and other supplies. When it comes to choosing camping gear these days, there is an overwhelming number of options. Tentworld – Australia’s largest camping supply store – lists over 100 choices including lounge chairs, flat fold chairs, stools, bench seats, hammock chairs, and kids chairs. You probably haven’t even considered a beanbag as an alternative to traditional folding camping chairs, but good quality bean bag chairs meet all of these requirements and are an excellent seating option when you’re camping. Traditional camping chairs are often advertised as being lightweight but, as they usually have metal frames, they can weigh up to 5kg. Folding chairs can also be quite bulky, even though they fold flat. You should also avoid cheap camping chairs as they often feel wobbly on uneven ground and aren’t very comfortable. A cheap folding chair might do in a pinch for kids or if you’re sitting in it for a minute at a time. However, if you want to relax in comfort, you’ll want something sturdier that’s been designed ergonomically to provide back support. 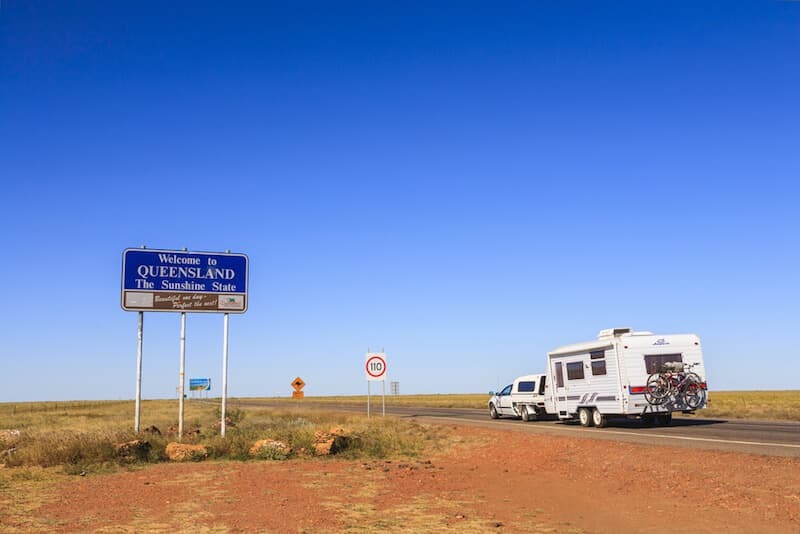 Caravans and RVs have a maximum loading capacity. Everything you pack and take onboard will eat into your payload allowance so it’s important to keep the weight down where you can and avoid overloading. Water tanks and gas cylinders are both cumbersome and can take up quite a chunk of your weight capacity. After that, you need to think about everything else you’re taking such as clothes, bedding, kitchenware, food, and camp chairs. If you’re travelling with your family, then you’re probably bringing along at least three chairs. Their weight alone could quickly reach 15 or 20kg. Even if you’re nowhere near hitting your maximum payload capacity, it’s still a good idea to keep your van weight down as much as possible. This makes towing more comfortable, reduces fuel costs, and minimises wear on tyres. • Take lightweight plastic kitchenware and compact aluminium pans instead of the more substantial alternatives. • Trade in heavy camping chairs for lightweight bean bags. If you’re researching new gear for your next camping trip, you should seriously consider trading in your old bulky and heavy chairs for modern lightweight beanbag chairs. Most bean bag chairs are filled with expanded polystyrene. This material is incredibly lightweight. Even jumbo bean bags designed to support weight up to 100kg will weigh less than 2kg. This not only reduces your overall RV or caravan weight, but it also means the chairs are easy to move around from inside to outside. Even small children can pick them up without difficulty. Beanbags mould to the shape of your body. They’re naturally supportive and feel much sturdier than a flimsy folding chair, especially if you’re overweight or don’t think that most camping chairs can support your body correctly. Beanbags provide the same level of comfort to everyone, whether it’s a 15kg child or an 80kg adult. Folding chairs are notorious for being uncomfortable and are not the best seating option if you have a bad back, but beanbag chairs provide support in all the right places and allow you to sit, recline, or lounge in comfort. Beanbags are a popular outdoor seating option for beach clubs and hotels because they’re so comfortable for guests. Can you imagine trying to lounge by the pool in an uncomfortable folding chair? There’s no reason only to enjoy the luxury of beanbag chairs when you’re on holiday overseas – take one on your next camping trip and enjoy having a comfortable place to relax no matter how rustic your campsite is. Our outdoor beanbags can be used indoors or outdoors, making them ideal for trips to the beach or weekend camping trips. Waterproof fabric means you don’t have to worry about them getting wet in the rain. If they get a bit muddy, you can quickly wash them off without waiting hours for them to dry. As beanbags don’t have a frame or moving parts, there’s no mechanism to break, which can happen in even the best quality folding camping chairs. Choose a good quality bean bag chair made from hardwearing fabric, and you can use it year after year. Even if it starts getting a bit flat, you can easily replace the filling for a fraction of the cost of a new chair. A beanbag chair could be your best investment if you’re planning to take a lot of camping trips with your family this year. 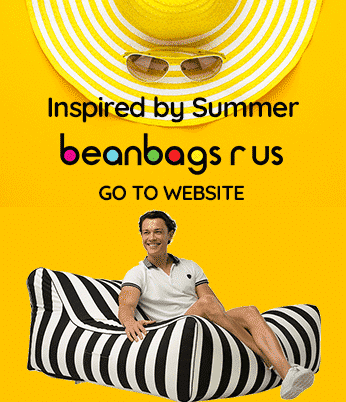 We offer Australia’s most extensive selection of bean bags made from durable, high-quality woven fabric. We have lots of different colours, styles and designs that are suitable for both indoor and outdoor use and would be great to take camping. Browse our selection of beanbags and feel free to contact us if you’re not sure which would be the best option to take in your caravan or to pack for your next camping trip.